Aquariums make a wonderful hobby. They are soothing, interesting and can provide a lot of fun and entertainment. However, in order to make the most of your aquarium, taking proper care of it is exceptionally important. It must be maintained, and part of proper maintenance is understanding issues that can develop. One of the side effects of improper aquarium maintenance is the development of pests, and Hydra oligactis – more commonly referred to as just hydra is one of the most dangerous. Also known as freshwater polyps, these pests hail from the Coelenterata family of aquatic invertebrates. They have a tubular body and a sticky foot located on one end and tentacles on the other end. 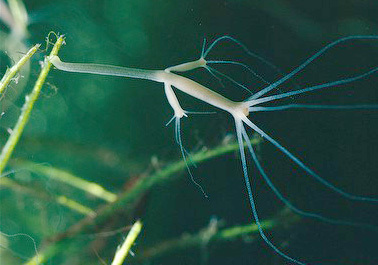 The tentacles contain stinging cells, which the hydra uses to immobilize its’ prey. Though hydras are basic creatures that lack a brain, a respiratory system or even musculature, they are a real threat to aquariums. As mentioned, they use their stinging tentacles to immobilize their prey and are able to kill and eat fish fry and even adult fish. Additionally, they reproduce very quickly, creating buds that turn into new hydra that eventually break off on their own. And, though they do tend to stay in one place (using their sticky foot to secure them to a surface,) they can easily move around if they choose. Given their ability to eat fish, how quickly they reproduce and that they can move about when they want, it’s easy to see why hydra are a real issue in an aquarium. Once an aquarium has infiltrated an aquarium, they can be hard to eradicate; however, getting rid of them is possible. The treatment for these pests depends on the extent of the infestation. If the infestation is relatively small, you may actually be able to physically remove them. If they have taken up residence on plants and rocks, they can be killed by removing the plants and rocks and sock them in a solution of 10 percent bleach and 90 percent water for about 15 minutes. After soaking, rinse the plants and rocks with fresh water and let them air dry. 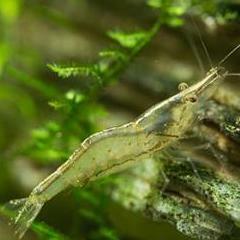 If you are looking for a less intrusive method of removal that will not disturb the aquarium, you can do so by introducing fish that will eat the pests. Mollies, Paradise fish and Spot (blue) Gouramis are known to favor hydra and can rid an aquarium of them. Heat is another option that can be used to treat an infestation of hydra. With this treatment method, the fish must be removed from the tank first. Once they are removed, increase the temperature of the water to 40°C (104°F) for a few hours. This will essentially cook the hydra and kill them. Turn the temperature of the water down, clean the gravel and change the water. Ensure that the temperature of the water is safe for the fish before reintroducing them. Chemicals and medicines can also be used to treat hydra; however, do keep in mind that they can be harmful to aquatic life. Copper Sulfate and Potassium Permanganate are two of the most common and safest options in fish only aquariums.